The Eisners are the comic book industry's "Oscars." Our book Heartbreakers Meet Boilerplate was nominated in the category of "Best Painter" for 2006. We were also celebrity presenters during the ceremony, which was videotaped... and lasted as long as an average Academy Awards telecast. But without musical numbers. 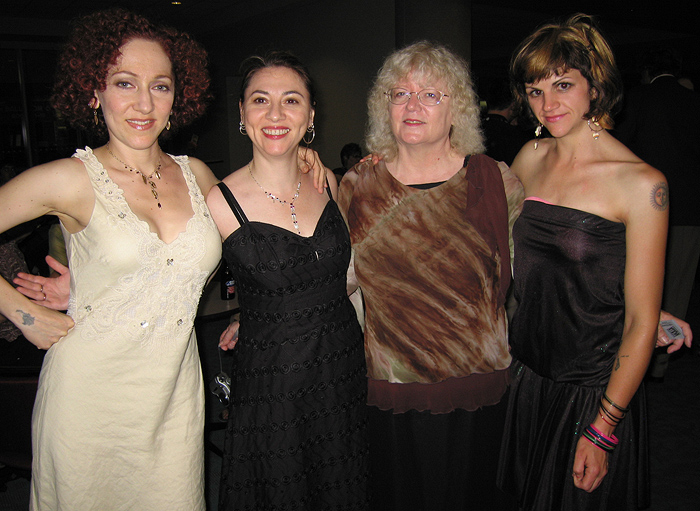 Above, left to right: Anina Bennett, Heidi MacDonald, Eisner Awards administrator Jackie Estrada, and Shawna Gore. 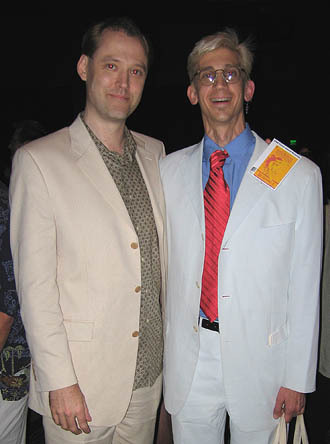 At left: Fellow nominees Paul Guinan and Eric Shanower discuss sartorial subjects. Paul hates neckties. Photos of Paul and Anina on stage during the ceremony, with a transcript of our sparkling banter!